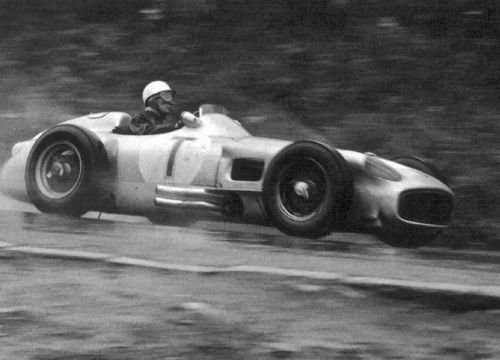 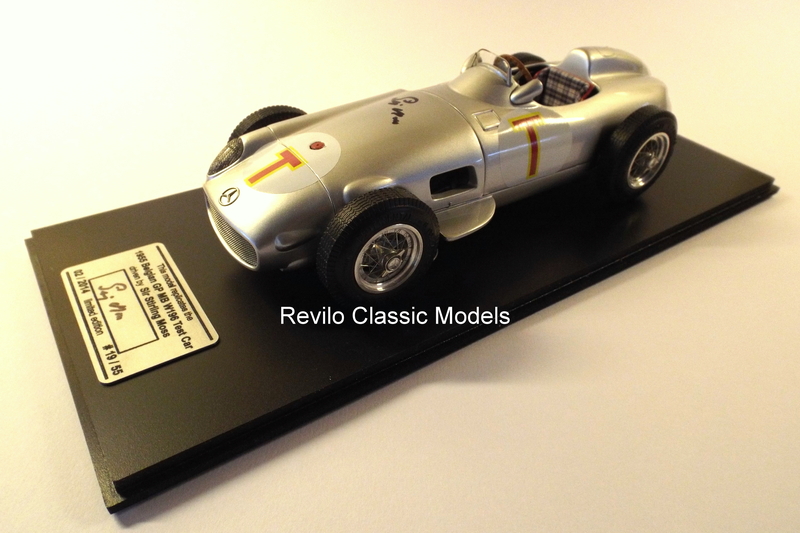 This is a very rare model of the Mercedes W196 Monoposto, in ‘T’ car livery as used by Stirling Moss, Fangio, Kling and Fitch in practice sessions prior to the 1955 Belgian Grand Prix. 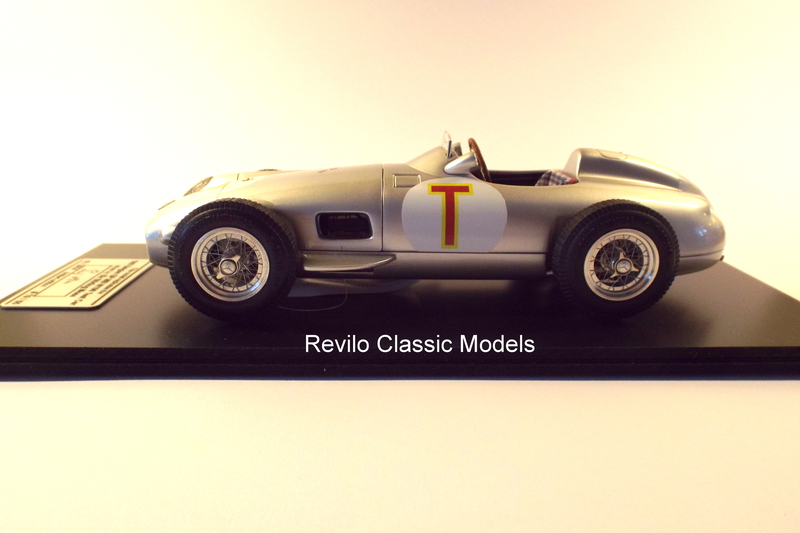 Not a standard CMC M-006 factory model, this ‘T’ car is a limited edition of just 55 models. 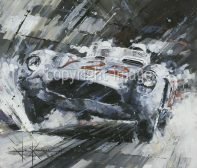 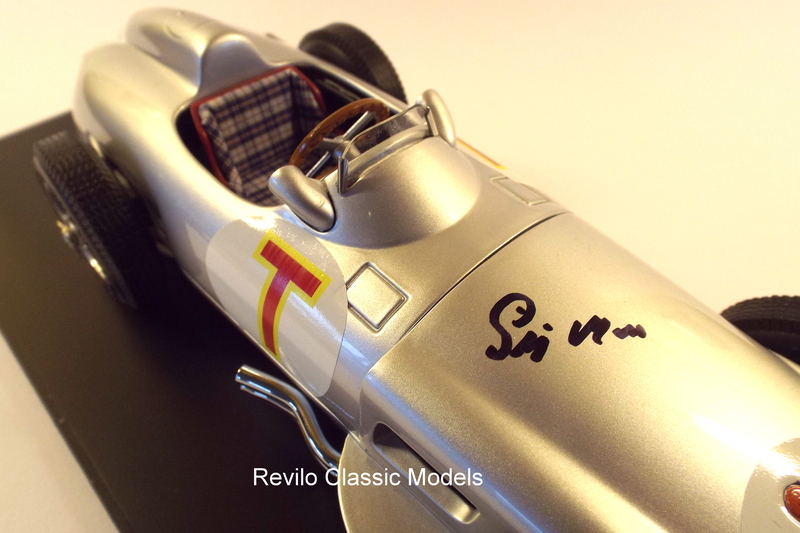 It comes with a certificate of authenticity signed by Stirling Moss, a plaque detailing the car with the limited edition number signed by Stirling Moss and Stirling Moss’ signature in the bonnet of the car. 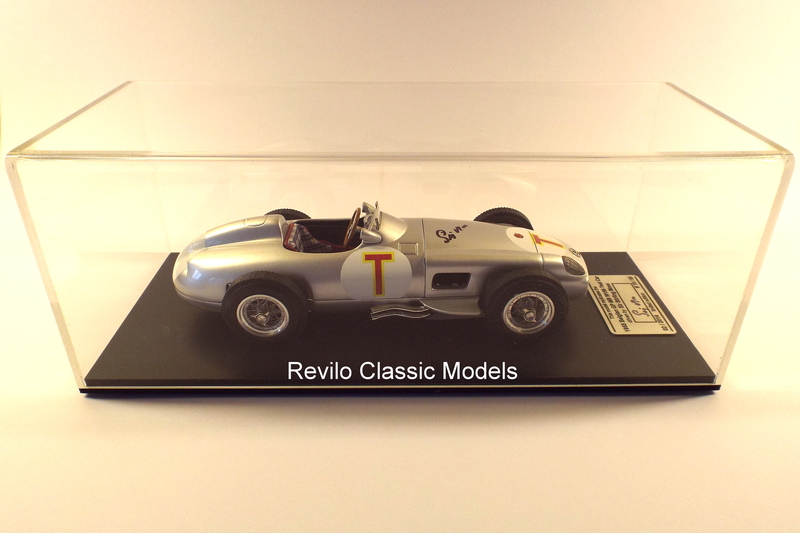 The model is displayed in an acrylic display case with a black base. 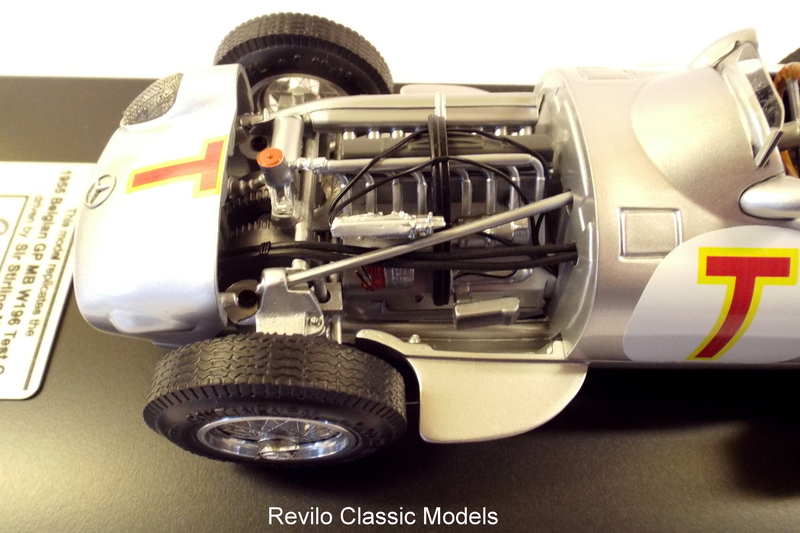 The model in new and comes with all original CMC paperwork and packaging. 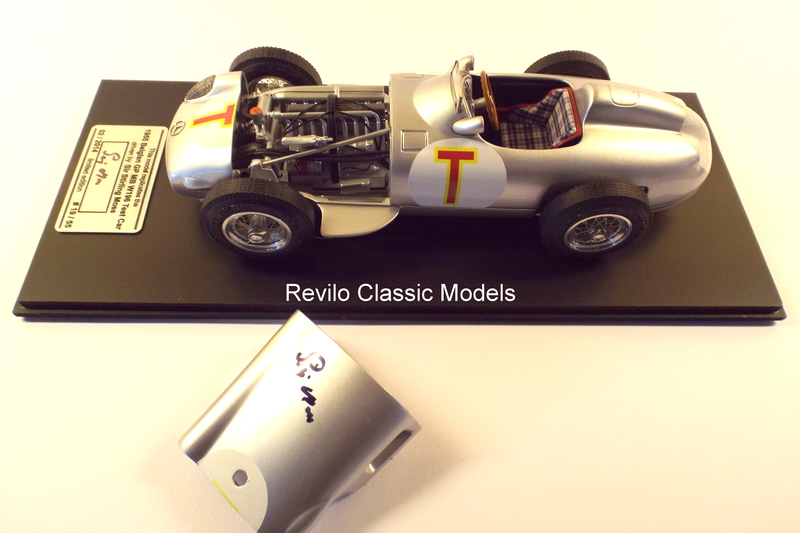 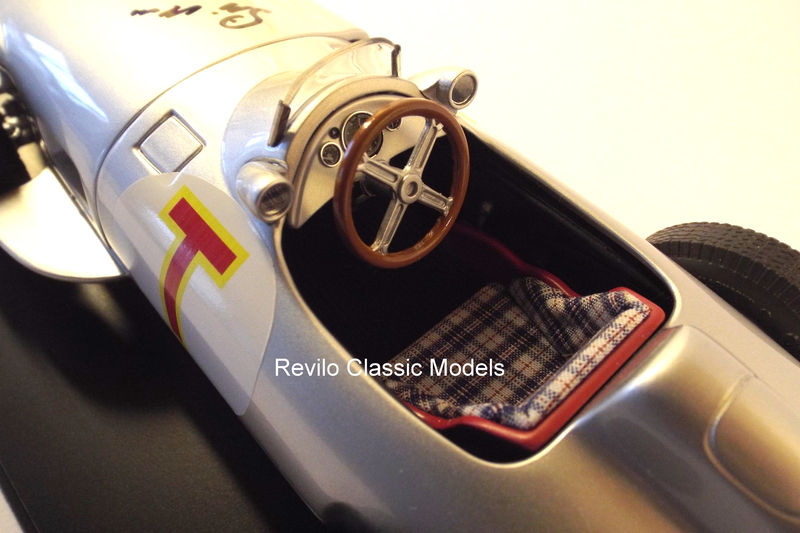 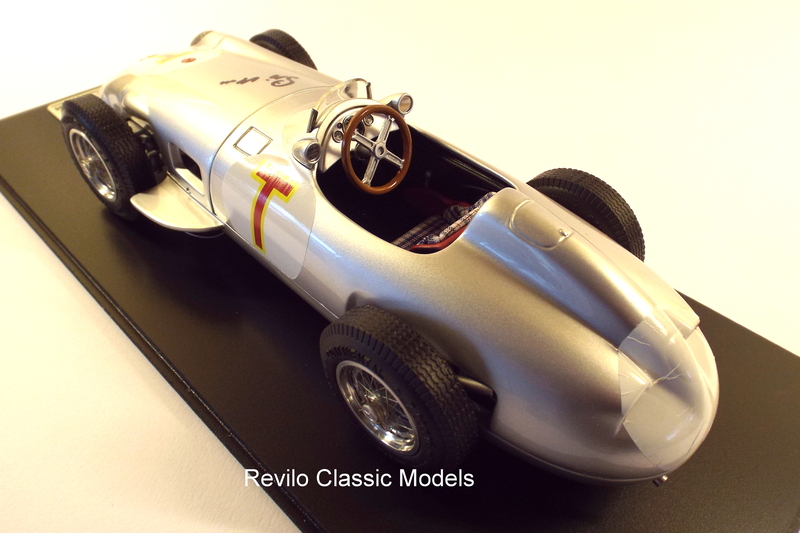 If you are interested in the Mercedes W196, please see the fabulous Amalgam 1:8 scale model I have for sale of the Monoposto, as driven by Stirling Moss in the British Grand Prix at Aintree in 1955.